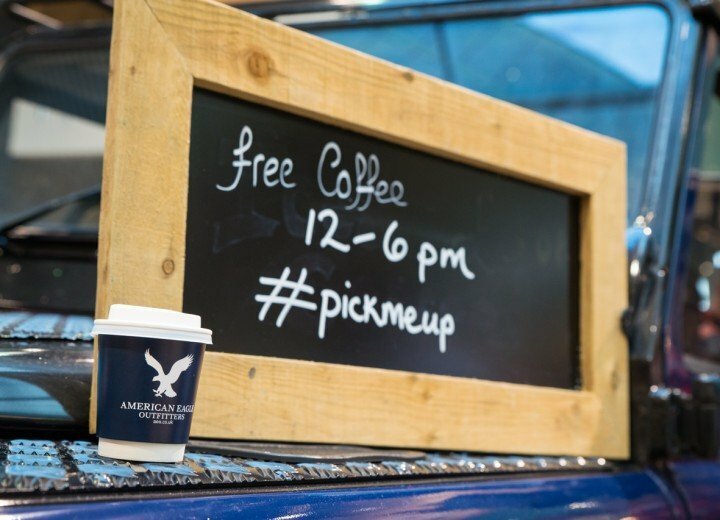 Design a brand awareness event for American Eagle to launch their new range of denim. 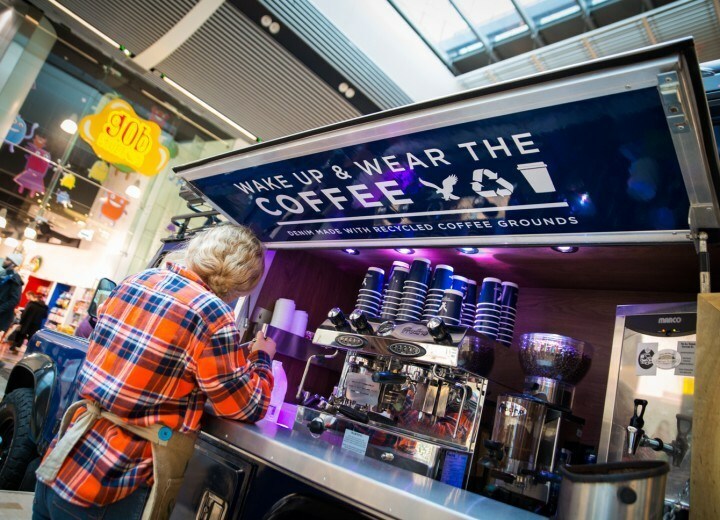 Mask created a bespoke coffee van on behalf of THRSXTY PR, complete with bespoke branded coffee and materials. 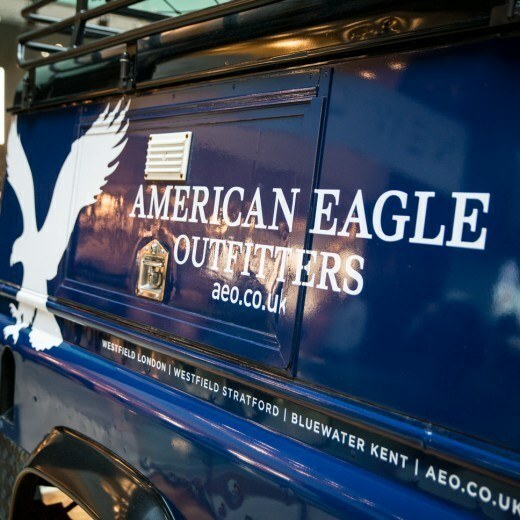 The van spent three weeks touring the capital to get people talking about American Eagle Outfitters. 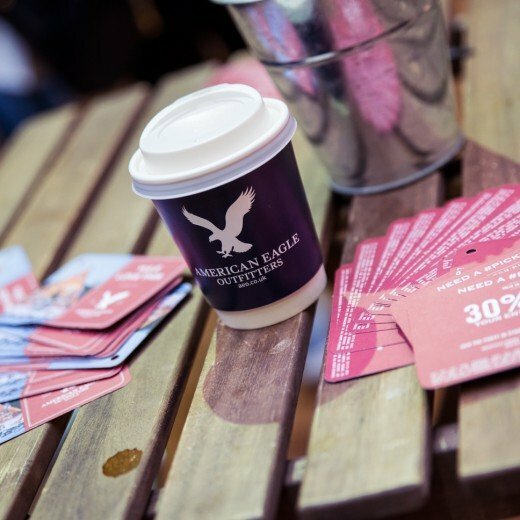 During the first week Mask toured chosen publishing houses handing out free jeans to key contacts along with free coffee. 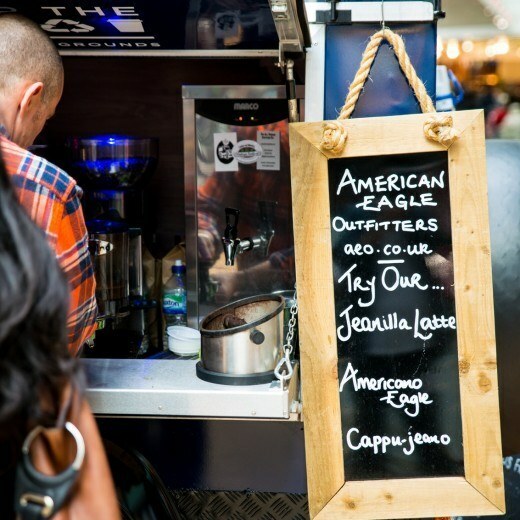 The offering included the Jeanilla latte, Americano Eagle and Cappu-jeano. 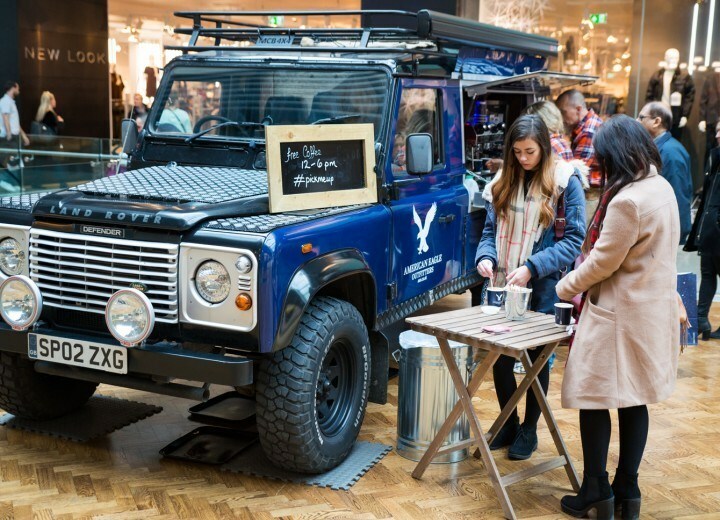 The following weekends saw Mask take the bespoke coffee Landrover to Westfield White City, Blue Water and Westfield Stratford, where a promo team handed out scratch cards with prizes to be redeemed within stores. 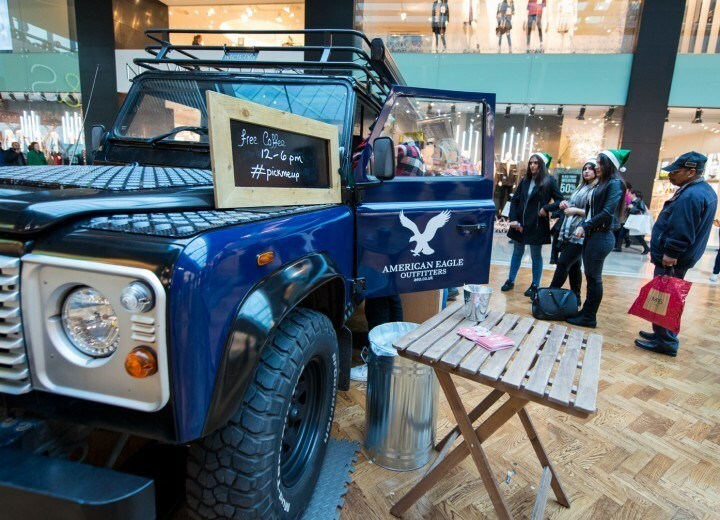 Visitors to the van also received discount on all products, free gifts with purchases and got to find out all about a brand many of them had previously been unaware of. 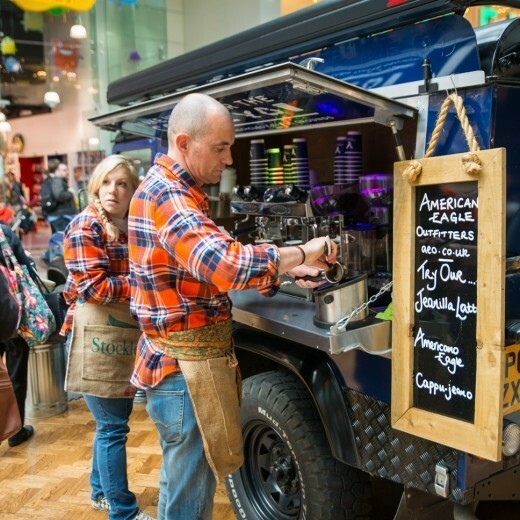 The coffee van was inspired by the brand’s new jeans, which are made with their classic high performance stretch denim and 2.25 grams of recycled coffee grounds per jean.